Having never seen this most feared incarnation in action, this was one hell of a watch - the game and your performance both. Saved to HDD so I can rewatch whenever I need to recall what true sniper tank hell looks like. Why, that's a magnanimous compliment, I'm genuinely flattered. 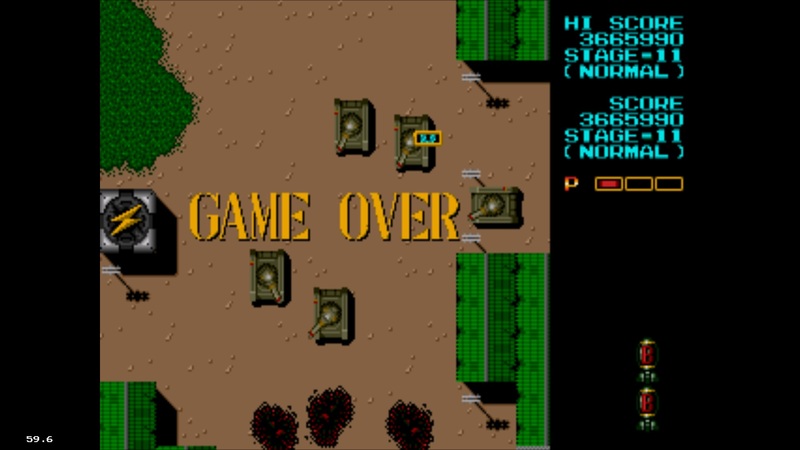 I actually just tried to achieve a better score on the MD port on Easy (since it is rather paltry compared to what I got on Normal, even), but now I'm so used to the merciless arcade version that I got bored in stage 7 and shut the console off. Drat! Will probably have to adjourn this one as to acclimate myself to the conversion again. Could've paused and clear some more loops to counterstop the thing at some other time, yet didn't see the necessity and finally stopped. Amends have been made and now I know for certain the difficulty doesn't rise after about loop 4 anymore. That shall be it for this game and its port. Oh hey this version has built-in autofire. Same! Same! Same! New Ver! Forgot to blank out the autofire field for New, oops. Nice! I assumed you played Fire Shark and put your score there, please let me know if otherwise. This clear actually happened a couple years ago and it's one I'm very proud of - it was my first Toaplan clear, after all. I could've gotten a little farther, but I didn't exactly expect to reach the 3rd loop and was running late to an appointment, so I had to call it quits . update ? are you dreaming despatche ? give it up to perikles please. He is the best for this Job !!!! I don't entirely understand what you're trying to say, but I'll assume that your previous scores were for SSS. Do you want me to replace the old 4.9M score with this new 4.5M one? Friendly reminder that I hate version differences with all my heart. Perikles does everything basically the same as I do. The old scores was Same same same scores, not fire shark scores!! !but i sayed this a long time ago.the old thread owner made this .you can make what do you want ,but the scores new or old are same same same scores okay !!! 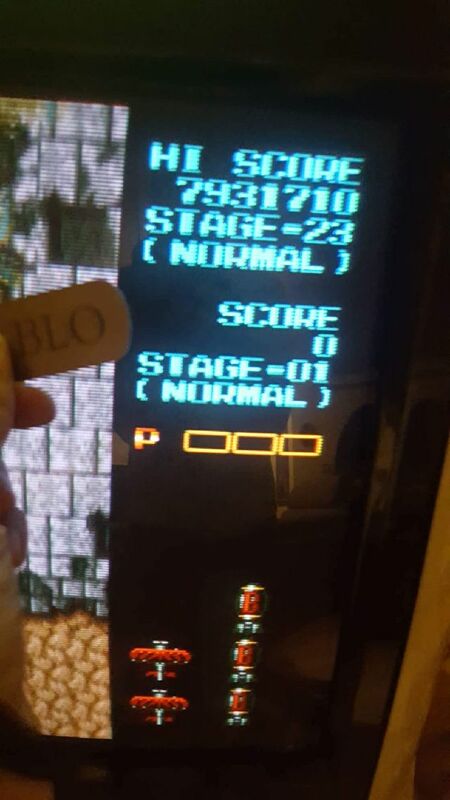 Finally got autofire to work for 1p version by borrowing my bro's arcade stick (since keyboard wouldn't register my autofire rates). My main goal is to hopefully adapt to the game via New Ver. and use those gains/strats to other versions. *Edit 1: After streaming today and getting knocked around by the city in the 1p hack, I decided to try a credit of 2p, and surprisingly cleared. No-miss to 1-6, wrong weapon switch led to me losing a few lives and losing some lives till 1-7 boss. Was able to recover in 1-8 and get some extra lives thanks to a 2up, and then died in the middle of 1-10. Cleared with 3 lives left, but didn't make it too far into the loop. 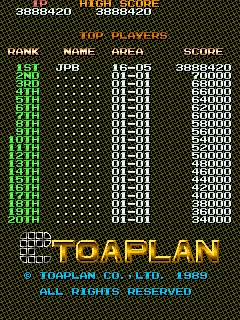 From what I read, 3/4 loops of same 2p!= 1 loop of same 1p so I may try to improve on that score in the future. Finally got another run that didn't die at stg 4 boss ( the positioning should be slightly off center so that you can take care of those train cars on the right side while moving slightly up and down?) 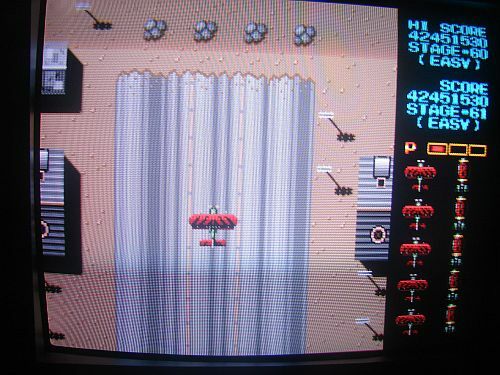 Died at the big plane salvo on 1-5, and spent a bunch of lives to squeeze past the boss and partway into the next stage. Still trying to figure out how to route 1-7. *Also Despatche, the fire shark arcade score was actually done on the same3! 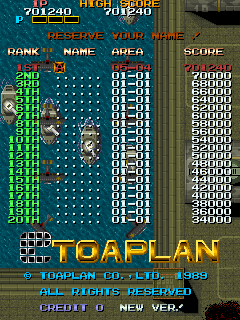 2p arcade romset on the player 1 side, so just transfer the score over there. Thanks! This whole situation has got me confused. Anyway, sorry for taking so long, life hasn't been the best.